Save the date! Le Petit Stroll will take place Saturday, July 15, 2017 in Mission Hills along the West Lewis Shopping District. 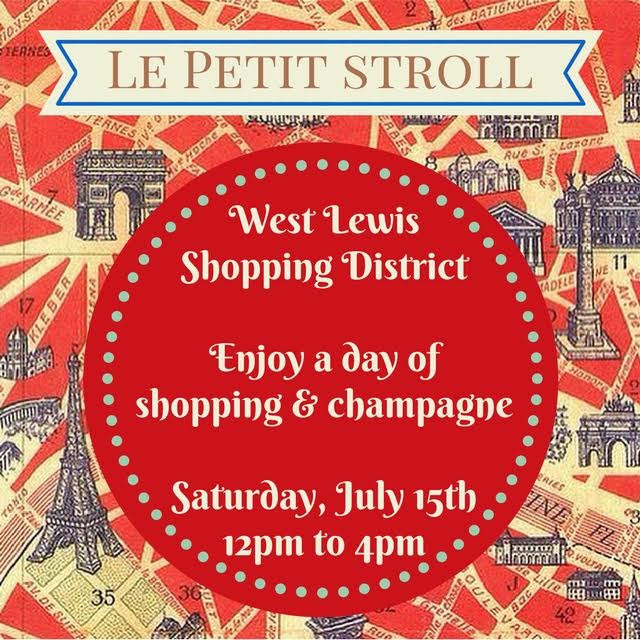 Stop by the great shops along West Lewis Street to enjoy a day of shopping and champagne.